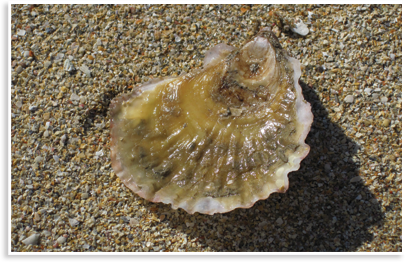 Also called European oyster or flat oyster. 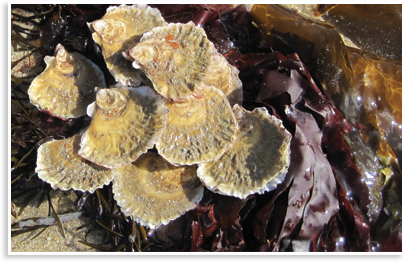 Native oysters as their name suggests are the indigenous oyster to the British Isles and Europe. Native oysters have a long-held association with luxury and extravagance and have long been considered the food of royalty and connoisseurs. They also have a particular association with more carnal pleasures and seduction. 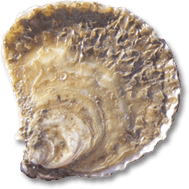 Our native oysters are characteristically round with one flat side and one cupped side*. Unlike the shell, the flesh of native oysters is delicate, firm and creamy white. Similar to drinking fine wine, eating an oyster is a sensuous experience with the taste and smell of the oyster reflecting the ‘terroir’ of where they grew. There is nothing else that so evokes the sea to the senses as an oyster. We relay our seed oysters directly onto the seabed where they are naturally found. Once there we let them do what comes naturally to an oyster; feed on plankton, grow and feed some more. Seafood doesn’t get any more natural than our oysters. 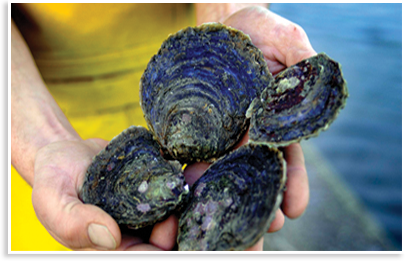 We aim to be producing native oysters to market in the 2014/2015 season. Follow us on Twitter and Facebook for updates. 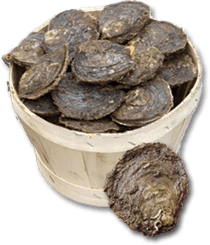 Native oyster become ripe, milky and spawn during the summer months May through to August. Sometimes the old ways are the best. Native oysters are good for you. 1. Oysters contain more zinc than all other food. Zinc boosts the immune system and promotes healing. 2. Oysters are good for your heart. They are high in omega-3s, potassium and magnesium which can help reduce your risk of heart attack, stroke and also lower your blood pressure. 3. Oysters can help you lose weight (honestly). Oysters are low in calories, low in fat and a source of quality protein which combined makes you feel fuller after eating. 4. Oysters are a good source of other essential vitamins and minerals. These include vitamins A, E, and C, calcium, iron, selenium, zinc and vitamin B12. 5. Oysters can help boost your energy. They are a good source of iron which is used in the production of haemoglobin transporting oxygen around the body giving you more energy. 6. Oysters can help lower your cholesterol. University studies have found that eating oysters can help raise the good cholesterol levels (HDLs) and lower those of bad cholesterol (LDLs). © Copyright 2013. All Rights Reserved. Website designed by Rowena.